The Wisconsin Badgers moved up one spot in the latest Associated Press top-25 poll this week to No. 15 … but maybe it should have been 14? Wisconsin accumulated 710 points in the latest poll while No. 14 Florida had 719. That is equal to a 16th-place vote if, say, someone didn’t have the Badgers ranked at all. But would anyone have UW unranked? Andy Greder left Wisconsin completely off his top-25 ballot, which OK, maybe there’s an argument to be made there even though every other voter ranked the Badgers, with the lowest coming in at No. 20. But Greder had Iowa — the team that lost to Wisconsin at home two weeks ago, has the same record as the Badgers and just beat *checks notes* Minnesota — ranked No. 24. Greder also has 3-2 TCU ranked No. 21 (his rankings from 15-25 are Miami, Auburn, Oregon, Texas A&M, NC State, Colorado, TCU, Kentucky, South Florida, Iowa and Cincinnati). And one more note: Two weeks ago, after that win over Iowa, Greder had Wisconsin ranked No. 14 (he did not cast a ballot last week). What happened in two weeks? Maybe it was just an honest mistake. Because we’re not sure what else it could be. 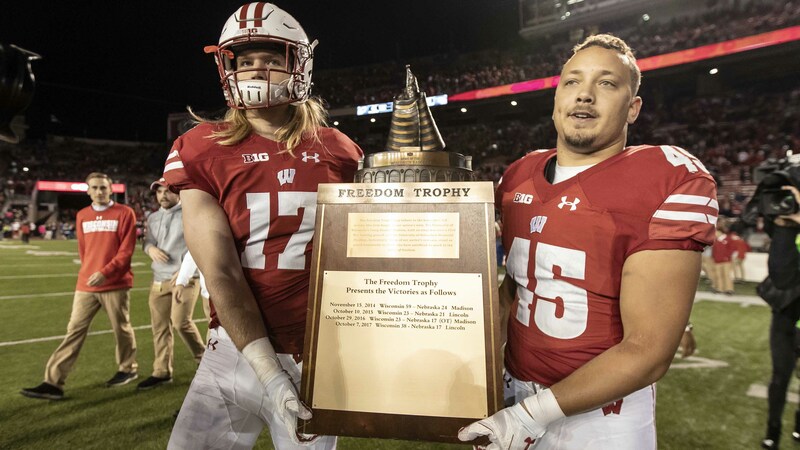 While the absence on Greder’s ballot might have cost Wisconsin one slot in the AP top 25, let’s face it, it won’t matter too much after this Saturday when the Badgers play at Michigan. Win that game, and UW will get a nice boost. Lose, and, well, maybe a lot more voters will follow Greder’s path.